When I was in my 20’s I traveled to the Balkans and was blown away by the colors of the clothing and jewelry. When I got back to the States I started embroidering blouses and began experimenting with jewelry. 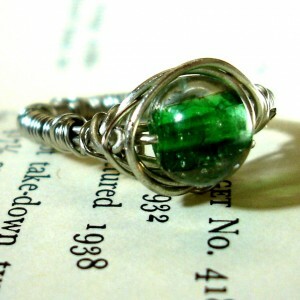 About 10 years ago I took a class in wire wrapping and decided this was what I wanted to do. As the years have gone by I’ve developed my own style and am constantly looking for new ways to use the wire and have started looking for new materials to wrap. Growing up in the Bronx, New York never thought I'd end up living in the country with my husband and my two cats, Lily and Epsilon. I'm the mother of two grown children. When I was in my 20's I traveled to the Balkans and was blown away by the colors of the clothing and jewelry. When I got back to the States I started embroidering blouses and began experimenting with jewelry. 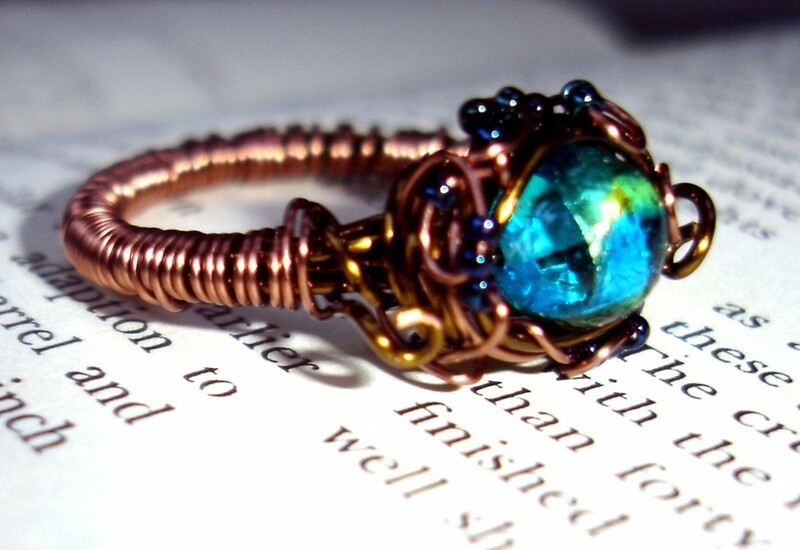 About 10 years ago I took a class in wire wrapping and decided this was what I wanted to do. 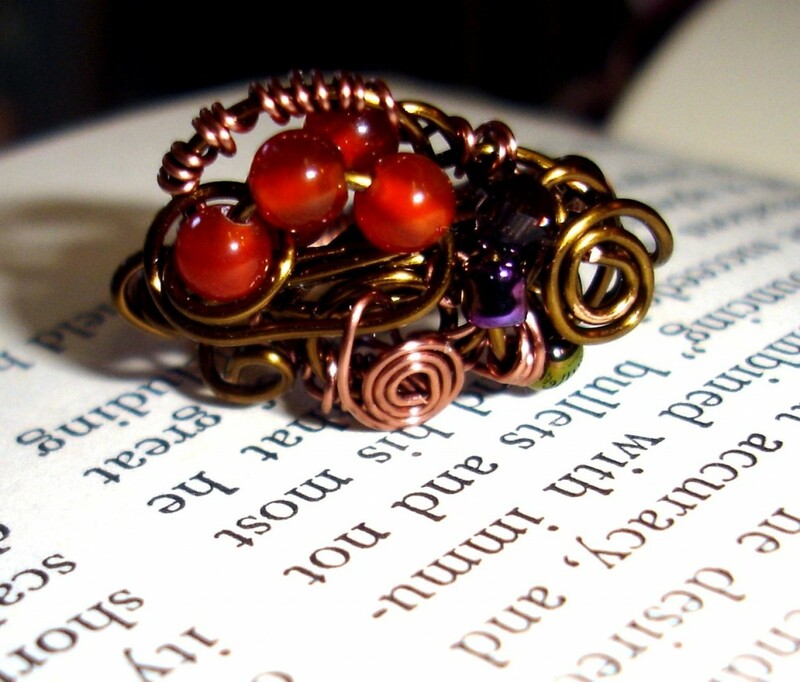 As the years have gone by I've developed my own style and am constantly looking for new ways to use the wire and have started looking for new materials to wrap. I love natural stones. I think the colors and the shapes that occur in nature are amazing. 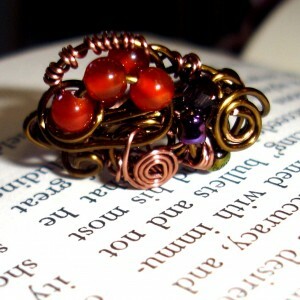 Most of my wire wrapping is of natural stones and I love bringing out their color with seed beads or crystal. Each piece that I do is unique and one of a kind. I also love wire and am especially fond of copper, bronze and sterling silver and will look at the stone I'm wrapping to see what wire will enhance it's colors. Sewing fringe or boho necklaces and bracelets is also something I love. I can use multiple colors and it brings me back to my teenage years in the 60's. I'm just an old hippie at heart. 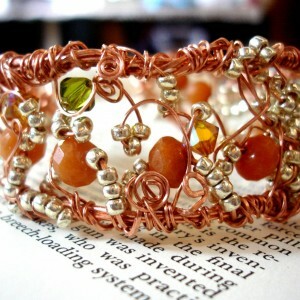 I recently made a cuff bracelet using copper wire. I was visiting my sister and she handed me an old broken necklace with vintage crystal. 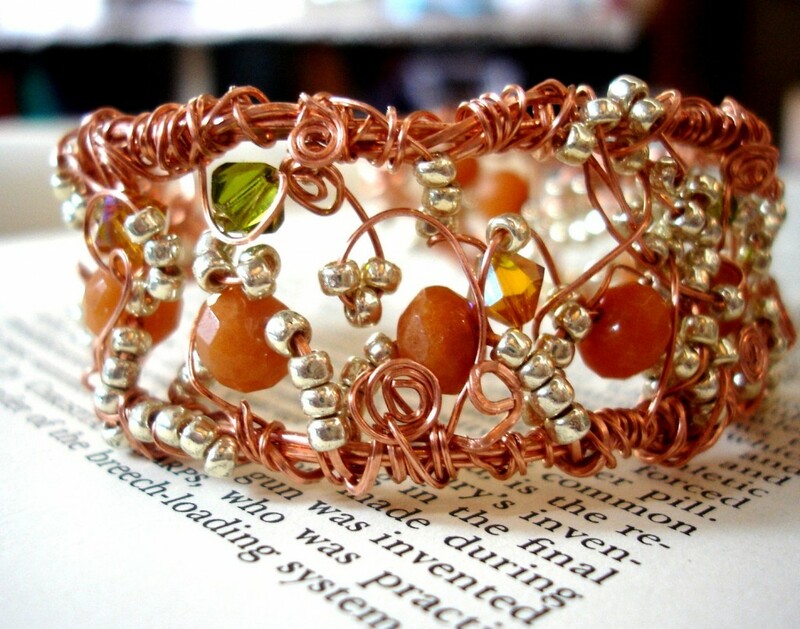 I knew I wanted to use the crystal for something and I had been thinking of doing some cuff wire bracelets. I hadn't made anything like that in a few years and I wanted to do something different. I made the first bracelet using 18 gauge copper wire and the antique crystal which I fastened in with 24 gauge antique bronze color copper wire. I am especially fond of vintage style jewelry and I was inspired by cuff bracelets my mother owned back in the 50's. I mostly sell at craft shows but I also have shops on Etsy and on Artfire under the name DaleBCraft. Handmade has the unique style and workmanship of the artisan who made and designed it. 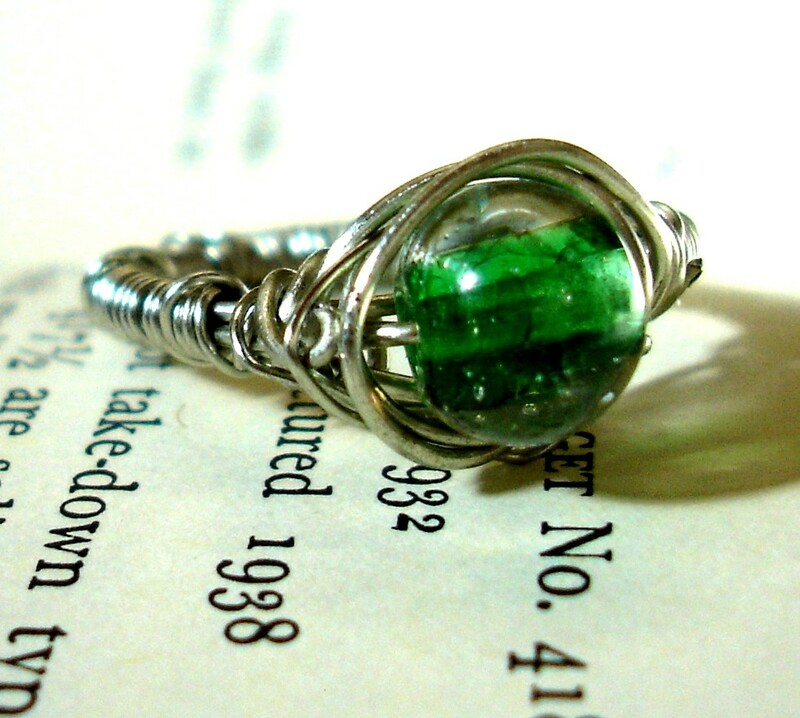 If you buy a one of a kind piece you are the only person in the world who owns it. 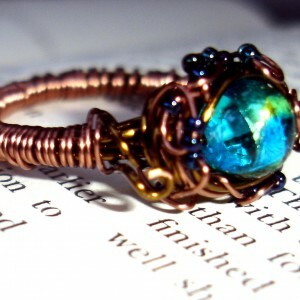 If it's a limited edition piece designed by a crafter, it has that person's love and work and inspiration.